I know I'm not the first to be intrigued or in awe of the Monarch. 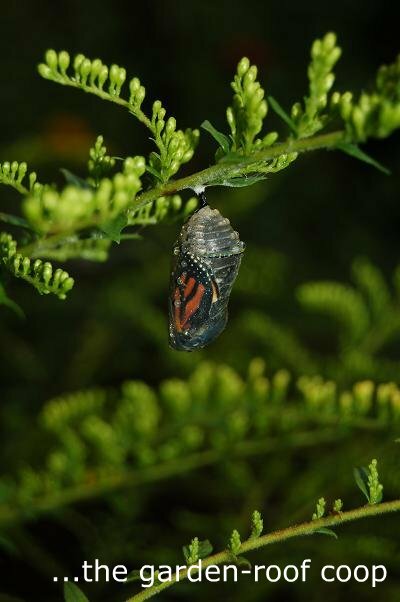 Just the whole process of metamorphosis - in any butterfly - is a remarkable and a hard concept to grasp. But the Monarch should be in a class of its own - its lifespan, strength, instincts and beauty set it apart from all the rest. 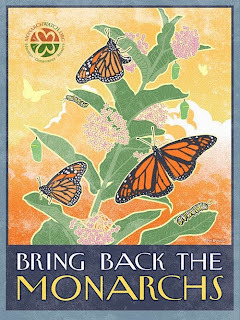 The Monarch is the only insect that migrates south and hibernates. Each year / season, four generations are born. The first three generations live about two to four weeks, but the 4th generation migrates to warmer climates in Mexico and California and then returns to North America in the spring, living a total of six to eight months and traveling close to 2500 miles! 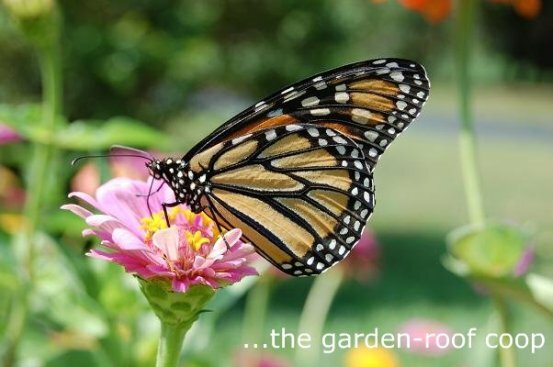 Nova had an interesting, informative film, The Incredible Journey of the Butterflies, which details the life-cycle and migration of the monarch - worth watching! It's definitely on my "bucket-list" to some day view the millions (more than 150 million!) of Monarchs hibernating on the Oyamel fir trees in the mountains of central Mexico. 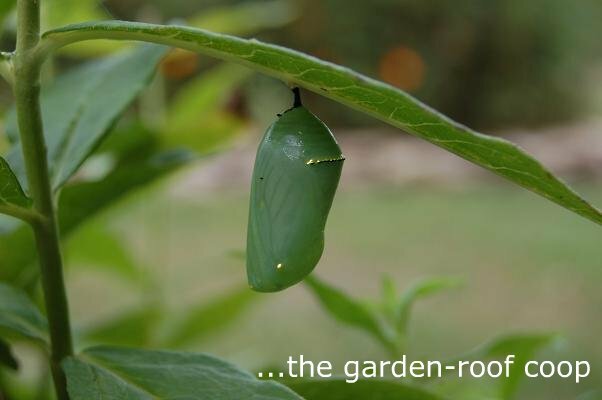 When I first began butterfly gardening, I had no idea how unique the Monarch was... I wanted to include host plants for many of the native Missouri butterflies in my garden, and milkweed, the food source of the monarch larva, was on my list of essential/must-have plants for my garden. As a side note - eight years ago I had some difficulty finding milkweed locally to purchase. It's almost impossible to transplant our native milkweed, Asclepias tuberosa, - it has a long tap-root and it's late to emerge in the spring which also adds to the problem of being able to identify it before it's too established to dig up and move to another location. I have noticed in the last few years, probably due to the fact of an increased interest and popularity of butterfly gardening, that milkweed is much more available. 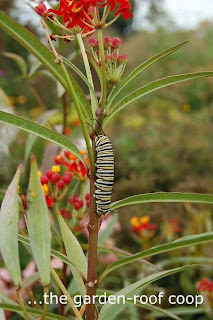 It was the second year after I planted the milkweed before I had my first caterpillar, the next year I had several. I've read that the off-spring of the previous year's generations will return to the same milkweed each year. I've also observed that I have had a chrysalis in the same location each year.- In precisely the exact spot: under a garden bench, on a certain branch of golden rod or garden phlox, under the bird bath. This just amazes me - not only does their genetic make-up instinctively direct them across the continent back to my garden, it's passed through their DNA where their ancestors spun their chrysalis! 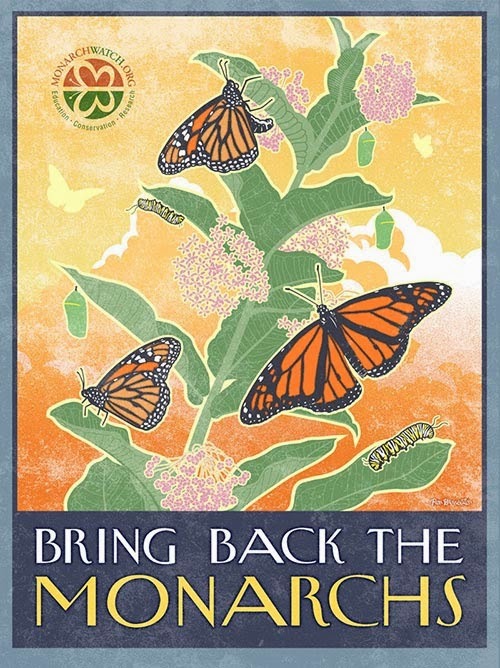 My garden, in addition to the Master Gardener Xeriscape, are certified Monarch Waystations through Monarch Watch - an organization dedicated to creating, conserving and protecting milkweed/monarch habitats.